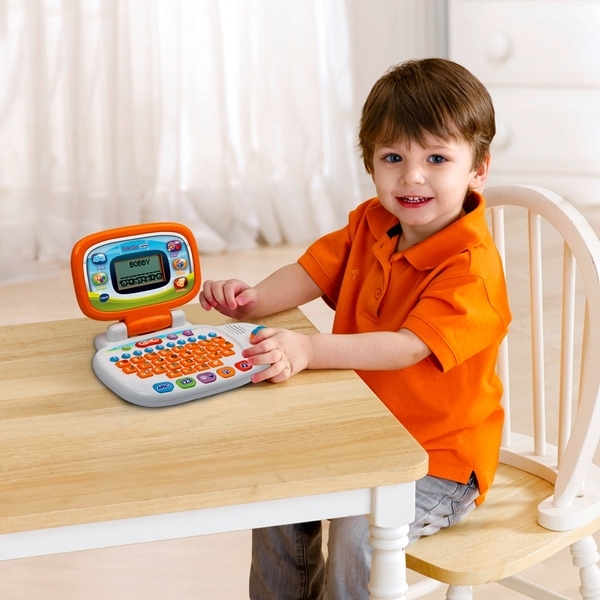 Pre-school laptop with child-friendly 4-directional mouse and 30 fun and educational activities that teach early computer skills and age appropriate curriculum including phonics, counting and spelling. You can also customise your child’s experience by entering their name, age and favourite food in the All About Me Mode, also create a personal avatar, choose a screen wallpaper and opening tune! Friendly penguin character leads and encourages play as a helper and friend. Encourages logical thinking, visualisation skills and hand-eye co- ordination.